Well hello to you my reader chums! 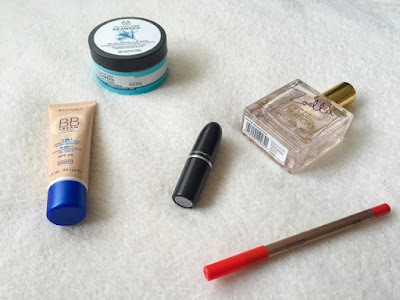 With the exciting month of June now over, it's time to share all the products I've been enjoying these past few weeks. 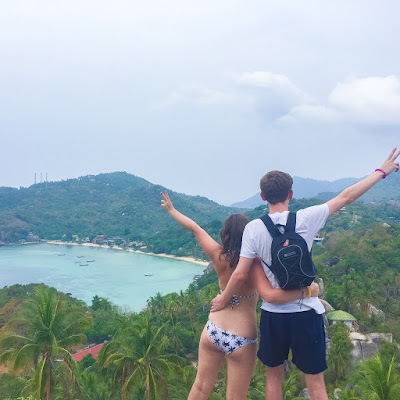 June was an incredible month filled with countless sensational moments including a girls holiday, Brighton and celebrating my 20th birthday! Now summer is fully underway ( lets hope the British weather gets the message soon), I can't wait to see what more fun adventures lay ahead. 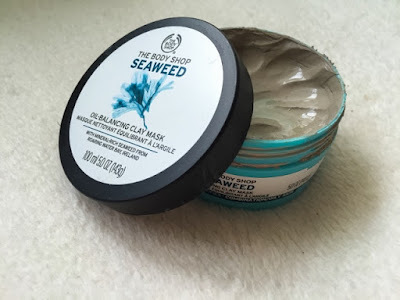 The first favourite is a new skincare love of mine, Body Shop's seaweed face mask. I picked this up just over a month a go, following a recommendation on Twitter by a fellow beauty blogger. I'd ran out of my Lush face mask 'Brazened Honey' and chose to opt for something new - I have to admit, I was certainly impressed! As labelled, it's a clay mask so applies wet and sets like clay to the skin. This means when washing off, ( I use a circular motion), it helps exfoliate this skin at the same time as drawing out the impurities. I've been using it on a weekly basis and have found my skin to feel fresher, smooth and completely clean after a face mask. However, on sensitive areas such as my under eyes, if I use a lot of product, it can leave them feeling dry and tender, therefore I usually layer it more on oily stricken areas. 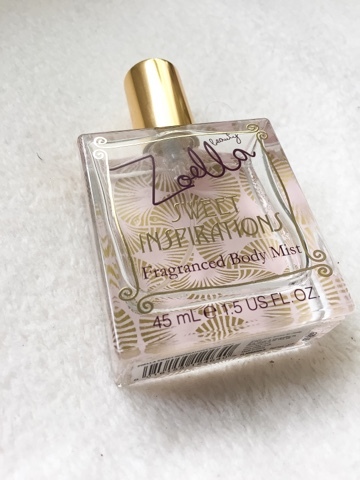 The next favourite has to be an item from Zoella's new collection, the Sweet Inspirations mist. If you saw my review on her entire new range, you'd know I'm addicted to the heavenly sweet scent! The mist has to be my favourite product I've tried from the collection so far - The smell is that delicious you'd want to eat it and it lingers all day long. With utterly adorable packaging and a scent that'll make your taste buds tingle, it's become an everyday staple. 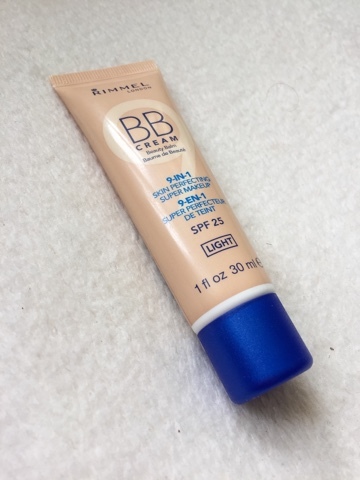 Another product I've been loving is an olden goldie for me, Rimmel's BB cream. This base is something I use every now and then when I'm having phases of how much coverage I need. As I went on holiday early June, I got a fair amount of use out of this due to it's SPF factor and light coverage. On the days I wore makeup, I applied this with a bit of concealer, powder, bronzer and mascara - a simple yet wearable, easy quick look in the beaming heat. 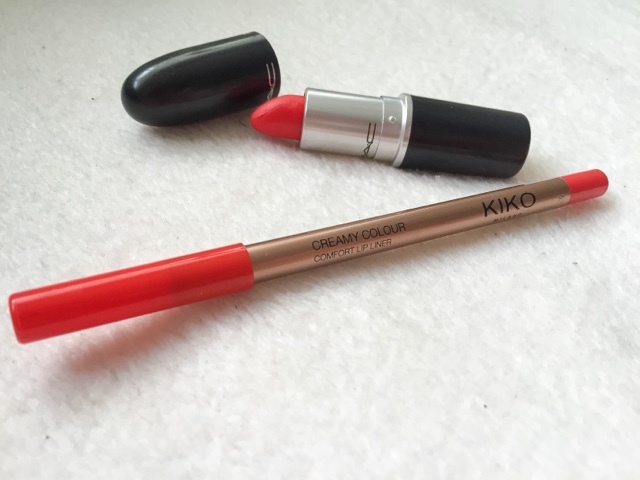 Lastly, this lip duo is the dream team of the orange lipstick world. When it comes to summer or the warmer weather shines through, a staple look I adore is orange lips. I find with a tan and glowing bronzy cheek bones, nothing looks better. My favourite to wear as pictured above is Kiko's lip liner in '306' and my beloved Mac's 'Lady Danger.' By pairing these not only have I found the colour to be more vibrant, but the lasting power is absolutely flawless. The products on their own are pretty long wearing ( especially the lip liner, nothing budges it) so when put together, you know it'll last throughout the evening. Even though both lip products are matte, neither feel drying upon application and blend really easily; couldn't fault them. I hope you enjoyed this Junes favourite post. 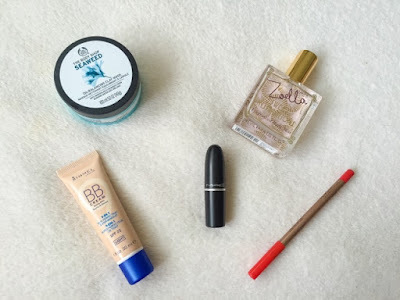 What products have you been loving? The only product out of these that I have used is Lady Danger, so i'll be sure to check the others out! When I saw that liner at first I thought it was just a red pen..oops! Haha! I love the sound of that seaweed mask! I've been meaning to pick the new Zoella mist up. I smelt it the other day and it's just beautiful.